The following is an excerpt from our white paper Unlocking The Door to Successful Lead Generation. Much has been written about the death of cold-calling and the end of outbound prospecting as a viable tactic for growth companies. The Internet, they say, is how everyone will be doing their research and making decisions. The reality, however, is quite different. 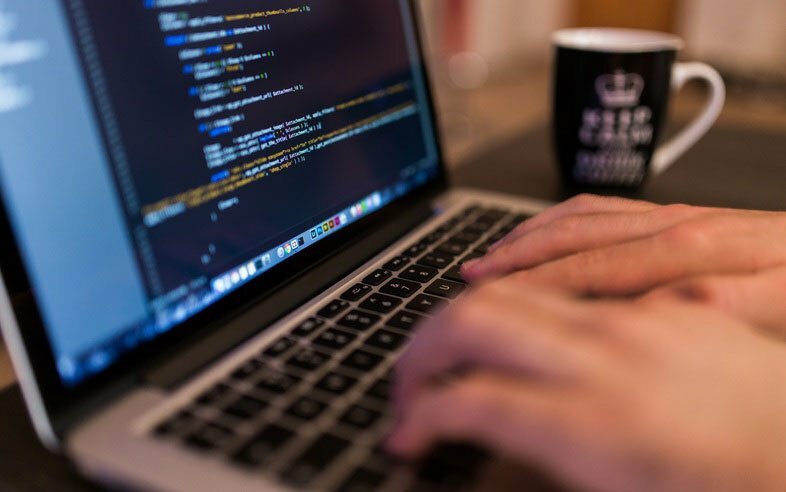 While the Internet has certainly changed the way buyers buy, it has also contributed as much to overwhelming them as it has to guiding their decisions. Outbound prospecting is not only viable, it’s a crucial tactic to any company looking to predictably accelerate its growth. The challenge is to do it right. “Acme Call Center Inc.” is an outbound call center that focuses on lead generation for the home improvement industry. Acme has a floor of 25 appointment setters that set up in-home appointments for Acme’s 15 field reps. When an appointment is set, it is transferred from the call center to a team of verifiers, who confirm the details of the appointment and place it on a schedule for the field reps to run. Acme uses an outbound call center platform, giving their reps an average of 25 live prospects per hour/per rep. Of these, 15% are typically converted into set appointments per hour, leading to roughly 3.75 appointments per hour/per rep. If reps work 6-hour shifts, this gives a total of 562 set appointments per day. Once Acme’s appointment setters set the actual appointment, they transfer the call live to a verifier team, who also uses the same outbound call center platform. Once the verifier gets the live call with data, they confirm the detail, then click a button that pushes the data into Acme’s sales force area so that field reps now have access to the newly set appointments. Acme has a 35% cancellation rate, but from that original list of 562 set appointments, that still gives field reps--at a 25% close rate--182 deals from 365 kept appointments. “Tom’s Insurance Company,” on the other hand, does not use this kind of software. They have a team of 15 appointment-setters, who set in-house appointments for 5 in-home insurance agents. The appointment-setters manually call, and on average, get 10 live contacts per hour. Reps convert 15% of live contacts into appointments, for an average of 1.5 appointments per hour/per rep. Tom’s agents work a 7-hour shift, leading to 157 set appointments a day. Once the appointment is set, it is manually keyed into a shared calendar, from which field reps pull and run appointments. There’s a similar 35% cancellation rate, but Tom’s Insurance also suffers, due to manual entry of appointments, from problems like bad addresses, wrong dates, and misspellings of potential client names. Thus, of 157 originally set appointments, only 70 of them are actually conducted, and the company only gets 35 closed deals. As you think about the current configuration of outbound calling, the landscape of marketing, and how to best measure your lead generation, you must ask yourself: is your business doing all it can to position itself for the future? Here are five steps you can take to make sure you are maximizing your potential and profitability. Have Clarity and Focus: Be clear on what you’re selling (what does this product offer). Create a Clear, Effective Process: The saying is that lead generation is “80% plumbing, 20% performance”-- if you have strong processes and support systems, you’ll know what’s working, what’s not, and what redundancies can be eliminated. Automate What Can Be Automated: Lead generators need to focus exclusively on having live, qualified conversations. Everything else should be automated, from auto-dialing, to a system that can deliver the next call on a list, to auto-filters that eliminate non-connected calls. Track and Measure Consistency: Measure, measure, measure! You need to know what “success” looks like, and you can’t improve without quality data. Make Adjustments to the System: With this data in hand, you can take what might be the most important step of this process: adjusting your system to evolve and improve. 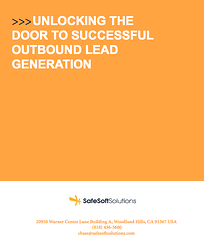 Download our white paper to learn more about implementing successful outbound lead generation programs.